If, out of the blue, you were given just two weeks to live, how would you feel? What would you do? How would you prepare for the end? Who would you tell – and how? This was the terrible position Roland Chesters found himself in in the late summer of 2006. He knew he was seriously ill – but had no idea he had both HIV and AIDS. 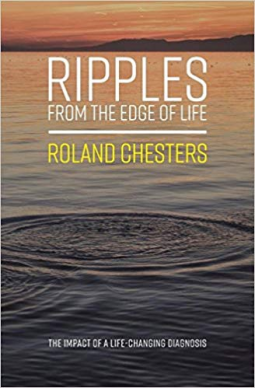 Ripples From the Edge of Life is Roland’s account of a life-changing diagnosis and its impact on him and those closest to him. More than a memoir, Roland’s story is not unique; ripples spread outwards, and this empowering collection gives voice to fourteen others who have survived similar traumatic diagnoses. This book contains wisdom, hope, humour and inspiration in equal measure. It is an essential read for anyone living with a life-changing condition, and for those who support them. This book is really interesting and give you the reader an insight into what a newly diagnosed HIV sufferer goes through and how it effects everyone within Roland’s social and family circle. Naturally there are highs and lows. It’s a rollercoaster of a journey of treatments, medication and many questions some of which cannot be answered. It’s a compelling book. It takes you through and emotional journey. I found myself cheering him on praying that various treatments would work.